This article is a review of GOD BLESS AMERICA. “It's not nice to laugh at someone who's not all there. It's the same type of freak-show distraction that comes along every time a mighty empire starts collapsing. "American Superstarz" is the new coliseum and I won't participate in watching a show where the weak are torn apart every week for our entertainment. I'm done, really, everything is so "cool" now. I just want it all to stop. I mean, nobody talks about anything anymore. They just regurgitate everything they see on TV, or hear on the radio or watch on the web. When was the last time you had a real conversation with someone without somebody texting or looking at a screen or a monitor over your head? You know, a conversation about something that wasn't celebrities, gossip, sports, or pop politics. 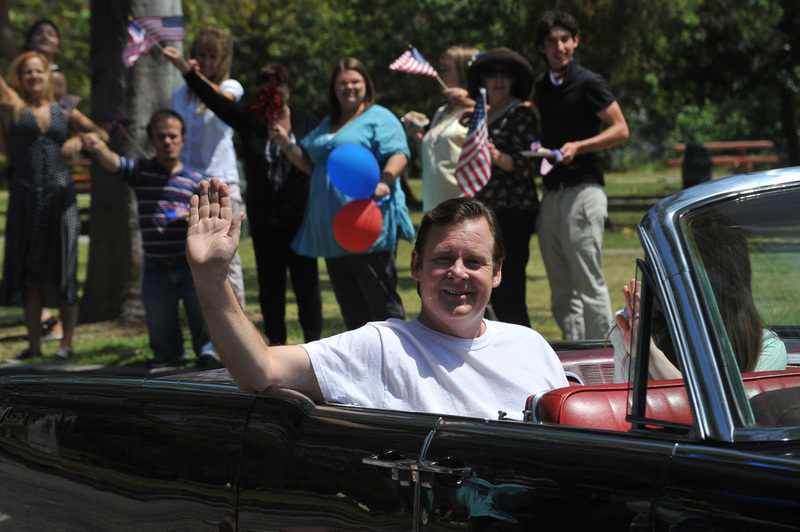 You know, something important, something personal,” Frank (Joel Murray). That’s three for three for me from writer-director Bobcat Goldthwait. He is a social commentator and coruscating modern satirist; and can be talked of in the same breath as Chris Morris and Armando Iannuci. Goldthwait is no longer that weird dude acting in the POLICE ACADEMY franchise (you know, Zed). SLEEPING DOGS (2006) had an original spin on relationships, sidestepping sentimentality. WORLD’S GREATEST DAD (2009) reminded us of how good Robin Williams can be, though more importantly was an excellent dissection of grief-culture. Here, GOD BLESS AMERICA is an angry cry for substance, dignity and courtesy dressed in a genre picture. In the same vein as MARGARET, it’s a state of the nation address to America post-9/11. Two mismatched peeps go on a killing spree. Their targets are those in the media, and in their path, who make the world a worse place. There have been plenty of movies dealing with couples killing on the run for fun: BONNIE AND CLYDE, BADLANDS and TRUE ROMANCE to name a few. GOD BLESS AMERICA definitely has its own tone and sense of humour. 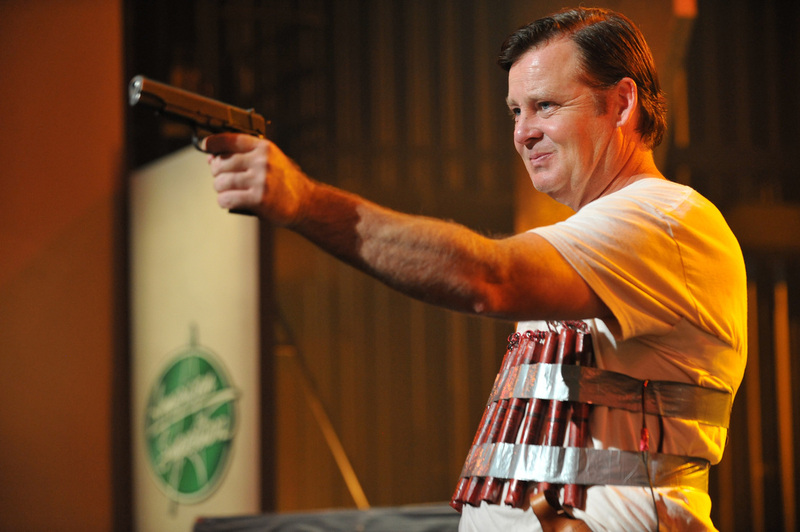 Joel Murray’s Frank is droll, gentle in speech and intelligent. Indignities and sadness push him over the line into murder. A witness to the first kill, Roxy (Tara Lynne Barr – a real comedienne find), talks her way into joining him. She is foul-mouthed, loquacious and articulate. They are “platonic spree killers”. A darkly hilarious road-trip ensures. 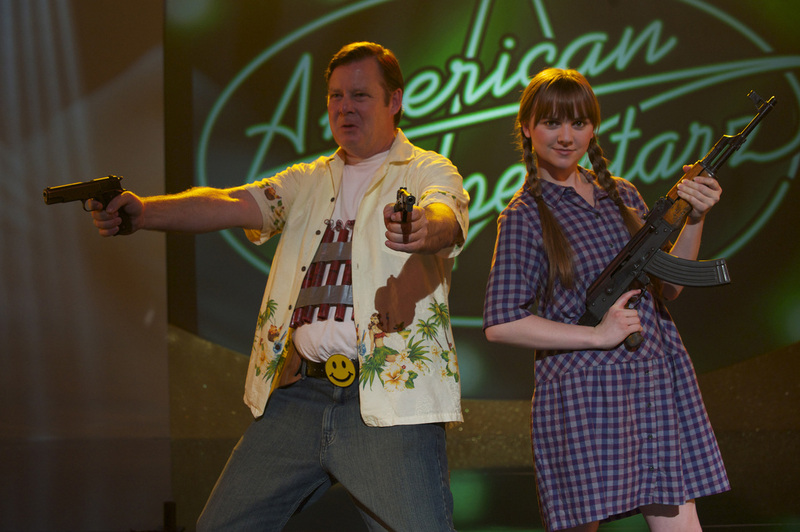 Arguably similar to NATURAL BORN KILLERS in its indictment of the media, GOD BLESS AMERCIA’s targets are wider, and the atmosphere breezier. Goldthwait’s direction has got more elaborate (though not yet up to the virtuoso levels of Oliver Stone); see for example the one-take strangulation scene. Not as sophisticated an observation as WORLD’S GREATEST DAD, GOD BLESS AMERICA is still bile-soaked entertainment brilliance.